New England Clam Chowder or Manhattan Clam Chowder? 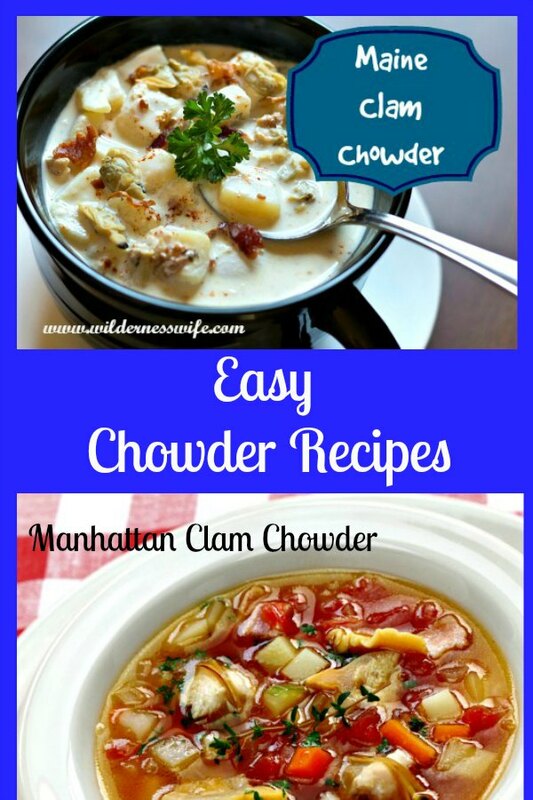 New England Clam Chowder or Manhattan Clam Chowder? It’s a Tale of Two Chowders! 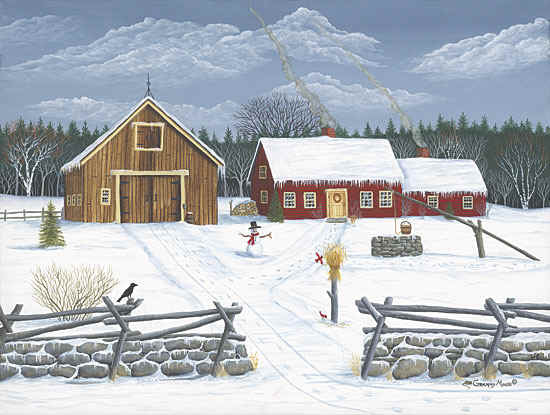 I live in northern Maine at the very northern tip of the New England region. In the winter it is brutally cold here and a good bowl of steaming clam chowder can warm you like nothing else. 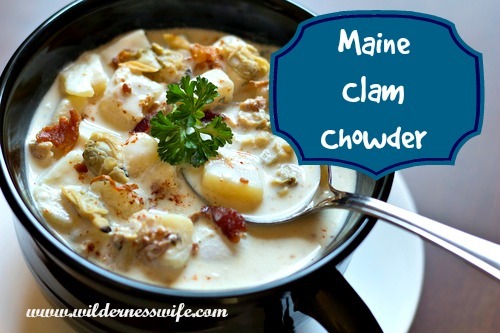 Now here in Maine when you say clam chowder, there’s no doubt that everybody thinks of traditional New England Clam Chowder where those succulent little clams are bathing in a bowl of creamy milky richness. 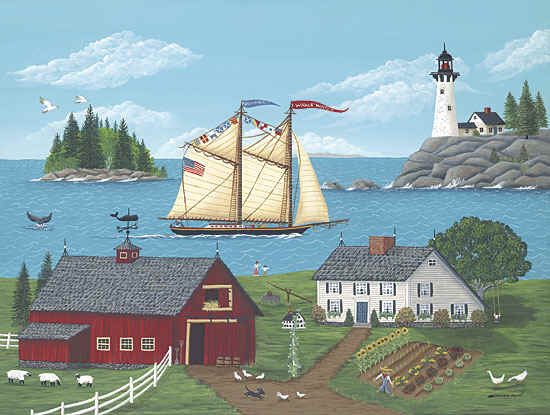 But go to southern New England (Rhode Island in particular) and New York, and their clam chowder has a different take. In the city that never sleeps their clams swim in a red ocean of tomato based broth with chunks of tomato nestled with the clams. 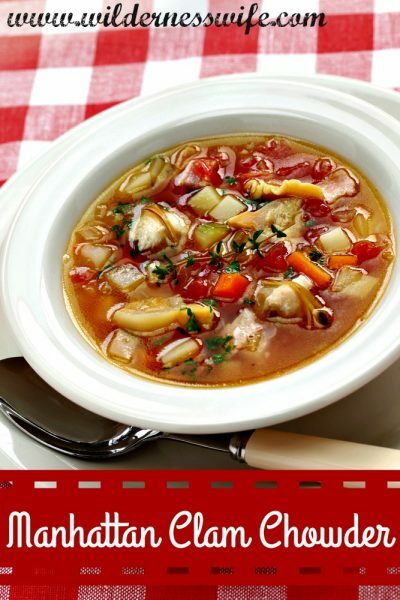 The first Manhattan Clam Chowder appeared as a recipe in a cookbook in 1919. 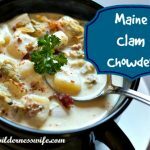 The thought of tomatoes in clam chowder so outraged the people of the state of Maine that the Maine legislature introduced a bill in 1939 prohibiting the use of tomatoes in clam chowder. It didn’t pass but it sure shows how passionate we Mainers are about our favorite chowder. Although the origins of Manhattan version are actually from the Portuguese fisherman that settled in Rhode Island, it was named Manhattan Clam Chowder by northern New Englanders who felt that only New Yorkers were crazy enough to call the tomato flavored seafood concoction Clam Chowder. Which Clams to put in your Chowder? Clams are the most important ingredient in any clam chowder, but which clams to use? If using fresh clams, Quahogs (often called “chowder clams”) are the clam of choice. 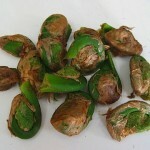 They are larger and really not suited for anything else so they aren’t as expensive as smaller clams like littlenecks. You will need to steam first and then chop them. Be sure to discard the rubbery brown necks and do not use any clams that do not open in the steaming process. Clams that stay closed in the steaming process were dead before you started and not good to eat. But to be honest, if you are rushed for time or fresh clams are not available in your area, you can use canned or frozen chopped or minced clams. There are some very nice restaurants that use canned and frozen clams in their chowders. The juice from the canned clam can be added to the chowder to enhance its flavor. The first ingredient you will add will be some form of fatty pork. You can use bacon or salt pork. Personally I prefer salt pork because it holds together better but unless you cook a lot of soups and chowders from scratch what’s left might hang around in your fridge a long time. Bacon is more convenient but it does add a little smokiness to the flavor that the salt pork would not. Which potato is the best for your Chowder? I love russets in my chowders, but they tend to break down if left to cook to long. So when adding your potatoes, timing is everything. 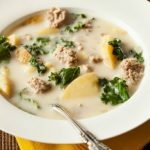 You can use Yukon gold or red potatoes but they lack the tender, potatoey texture in the finished dish. So I add my russet potatoes, which I have cut into 1/2 inch cubes about 15-20 minutes before I am ready to add the final touches and serve. Below you have both recipes – New England traditional chowder and the heretic Manhattan chowder in all its tomatoey goodness. Comment at the bottom as to which chowder you like best. A traditional New England recipe that is a comfort food favorite here in Maine. Place diced bacon in soup pot over medium heat and cook till almost crisp. Remove bacon and drain on paper towels. Add onion to pot and cook until translucent. Stir frequently and don’t let onions brown. Drain clams and reserve 1/2 cup of clam liquid. Add 1/2 cup clam liquid to pot. Add potatoes to pot and bring to a boil. Cook until potatoes are fork tender then turn down to a simmer. Add the clams, salt & pepper. Mix flour with 2/3 cup of cream and then add mixture slowly to pot while stirring gently to combine. Cook for 3 minutes at a simmer. Melt butter over medium heat in soup pot. Add onion, celery, and green pepper. Cook over medium heat till translucent. Add garlic and cook for 2 more minutes. Do not let garlic burn. Add water and cubed potatoes. Cook over medium heat until potatoes are fork tender. Add tomatoes and clams, including their liquids. Add thyme, salt, pepper, and cayenne. Cook over medium heat 15 more minutes. 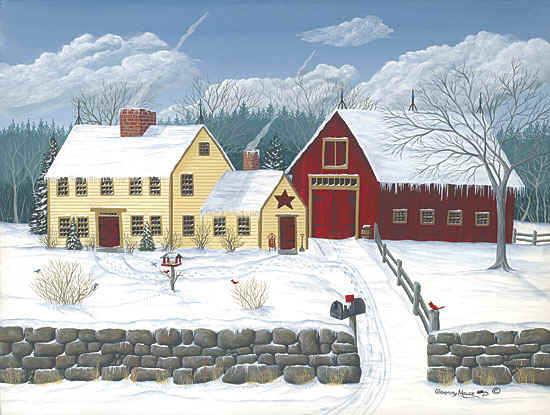 Living in Connecticut I enjoy all types of chowder but my favorite is a nice and thick and creamy New England style.. though I did LOVE the red chowder that was sold at Rocky Point back in it’s heyday in Rhode Island.